Home / Blog / Moving to Costa Rica: what you need to know. 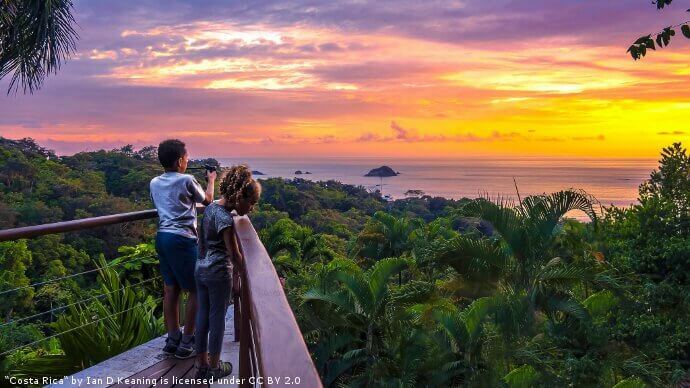 What to know about moving to Costa Rica. Costa Rica is a very popular place for expats and retirees. It makes a lot of sense with a low cost living, amazing weather and beautiful scenery. With that said Costa Rica may not be for everyone, and here are some things to know when considering a move. There are several different kinds of locations across Costa Rica. You may want to live some place a bit cooler like high in the mountains. Alternatively you could choose to live right near the beach or secluded deep in the rain forest. Each location is very different so it is recommended to rent first and experience different areas. After that you should have a good idea of what works and doesn´t for you. Here are 5 impressive Costa Rica resorts you could stay in while visiting. Costa Rica has a highly rated healthcare system. If you obtain your citizenship you will be entitled to universal healthcare. There are other options for private insurance as well. Make sure to research your options before committing to one or the other. It is possible, though very rare to obtain a work visa. However without a work visa or citizenship it will be illegal to work here. If you are an entrepreneur you may open a business as long you have nationals doing the work for you. The cost of living when moving to Costa Rica can vary greatly. Living modestly you could get away with spending around $1,500 a month. However if you enjoy going out and a lot of activities it could be upwards of $3,500 a month. You location will also greatly affect this. We have several tips for saving money in Costa Rica. You should not expect to spend the minimum living near the beach in a touristy area. Vehicles in Costa Rica are very expensive. The cost is near double what you might expect. There are many factors to consider when driving in Costa Rica. Then include that gas is over $5 a gallon and the yearly fees to keep your vehicle legal through marchamo and riteve will be in the thousands for a new vehicle. Consider either public options or renting if you only occasionally need a vehicle. Target offers a wide range of 4x4s you can see here.